The Navy Patuxent Sailing Club (NPSC) is a non-profit private organization operating aboard Naval Air Station Patuxent River, MD in support of the base's Navy Recreational Sailing Program. It operates the majority of MWR sailboats, offers ASA certified sail training and is affiliated with the U.S. Naval Sailing Association (USNSA). Club meetings are held the second Saturday of every month at 10:00AM at the clubhouse next to the Marina Office, West Basin Marina, NAS Pax River. See our Event Calendar for upcoming sailing or social opportunities. The Navy Patuxent Sailing Club membership is nearly 200 Active Duty, Reserve, Civil Service, and Contractor personnel. We come from all backgrounds with a common interest and a variety of skill levels in sailing. With the Patuxent River and Chesapeake Bay at our back door, we have some of the finest sailing in the world, just minutes away. 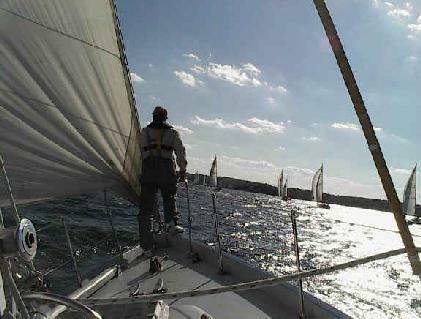 To provide the means for eligible personnel and their dependents to experience and appreciate the pleasures of sailing. To instruct members and further their interest and capabilities in small and large boat handling. To further sailing as a competitive sport in the Navy. To provide a means for small boat sailing competition among service units, and between the Navy and civilian fleets. To promote seamanship, piloting, navigation, and water safety by participation in the Navy Sail Training Program. To assist the Commanding Officer in the promotion and successful operation of recreational sailing as an important part of the Morale, Welfare and Recreation program. To coordinate and cooperate with local sailing and yachting organizations as will enhance the prestige of the Navy and bring credit to NAS Patuxent River. Regular membership is open to military personnel (active duty, retired, and reservists) and their dependents; civil service employees, and contractor personnel supporting government agencies and organizations aboard Naval Air Station, Patuxent River, Maryland. A Secondary membership is open to spouses and dependents, 12 to 21 years of age, of regular members. The Secondary membership has their own website log-in and has voting rights. Each member in good standing is entitled to hold office and vote in club elections. Enter Gate 1, make the first left on Cuddihy Rd. Turn left at the end of Cuddihy Rd. 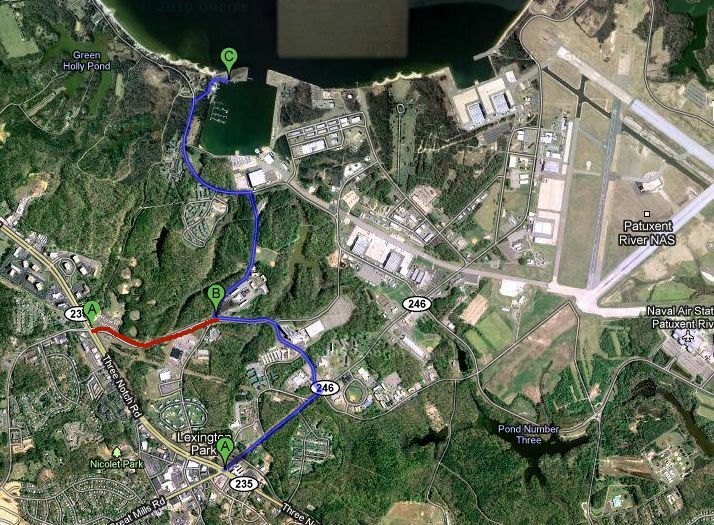 onto Tate Rd. Bear right on Bauhoff Road. The club house is on the left in front of our sailboats.